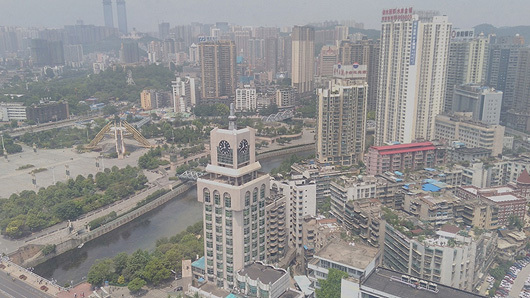 View of Guiyang city from Go tournament venue, Sheraton hotel. The games played on the top boards were broadcasted live on Chinese Go servers but there were also game records taken of the other players so later it was possible to find kifu of the games printed in the playing hall. The Chinese representative Baoxiang Bai 8dan won the 38th WAGC with a perfect score 8-0, similar performance as in the 32nd WAGC held in Matsue, Japan May 29th-June 1st 2011. In the 1st round I got paired against Pal Balogh 6d from Hungary by draw and I got a win by forfeit as my opponent didn’t make it to China and that was pretty bad for my final result as there were no SOS ( Sum of Opponent’s Score) points for this win. Played a friendly match against Mongolia representative 5d instead which I won quite rapidly as he collapsed big time in a corner fight. In the 2nd round I met former European Champion Zoran Mutabzija 2d and the game went peacefully winning comfortably by 18.5. The 3rd round was a little tougher against the Serbian champion and old friend Miodrag Stankovic 5d but the fights became complicated in the middle game and after I killed a large group he was forced to resign. 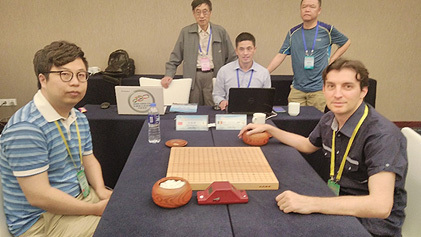 In the 4th round I met China who was the big favorite of the game and even if I tried hard to put up a good performance on the board I eventually lost the game by 13.5 so there was no way to upset the World Champion this time. 5th round was also a difficult one as I faced the player from USA who is a Korean 7d but I managed to win by 29.5 a game where I played for influence and it worked out fine this time. Later that day the game vs Japan representative was quite exciting but Shusaku Sakamoto 7d was better in the trades we made and I had to resign. 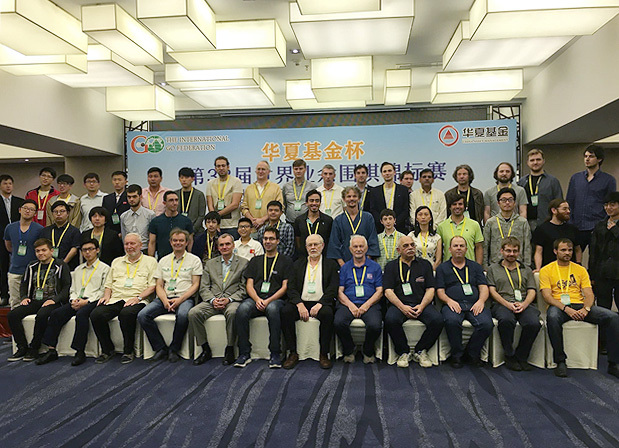 The 7th and 8th rounds were played against European strong players such as Lukas Kraemer 6d from Germany and Surin Dimitry 6d from Russia and I won them both by a close margin of 7.5 and 5.5 respectively. After a very intense competition the organizers took us on a sightseeing trip to Huangguoshu waterfall in Guizhou province in the south east of China , a great place to visit. 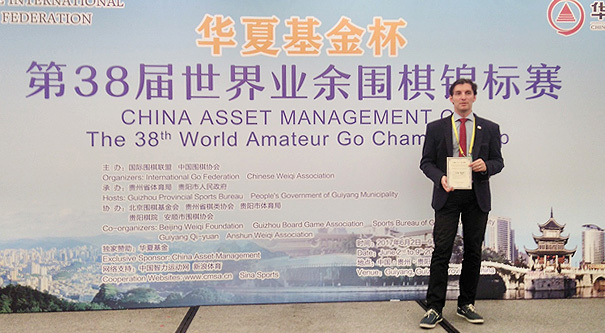 The next 2 editions of the WAGC will be held in Japan in 2018 and 2019 and after that Russia will be the host of the 2020 event which will be hosted in Vladivostok. Let’s hope for a great result in the upcoming events !